Summertime, that glorious time, that hot time, that wondrous time is almost here. The other day, as the thermometers soared to 88 degrees and brought thunderstorms to our neck of the woods I was convinced it had already arrived. Whenever I think of my favorite season I can feel warm nights, taste cool water, and smell honeysuckle; fireworks blaze before me and brighten the dark skies, sparklers crackle in mosquito ridden yards, and the sounds of cicadas and tree frogs fill my ears. I am surrounded by friends and family eating hamburgers and hotdogs and relishing the flip flop days. Days that are spent at the lake or by the pool listening to classic tunes, drinking a diet Pepsi, and reading a good book. These days those picturesque scenes include a busy 2-year-old who wants to turn the station, drink my diet Pepsi (NO! ), and rip my good book apart — but in all of that chaos he is adding his own preciousness. He is re-introducing me to drinking out of a garden hose, to digging in the dirt, and to picking dandelions and in turn giving them to the ones you love. His enthusiasm for getting outside and staying outside — no matter what the weather is — is catching on with all of us. As I watch this little man grow and discover the brand new world around him I am reminded that there are new worlds to discover no matter how old we are. Exploration does not cease because we are no longer children, or it shouldn’t at least. There is still much to learn, to see, to absorb. Although previously unknown to me, it was like my life was stagnant before the arrival of my kiddo. And my new position here at the library has mirrored this. I suppose it is only natural a child and a different job would reveal new and interesting things. Here are a few of them …. 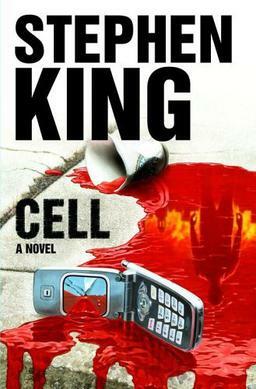 I like Stephen King novels. I never read any before because I thought everyone of them included creepy clowns, psychotic criminals, and weirdo twins that stalk you around deserted hotels while you are leisurely riding your tricycle. I can honestly say I have been proven quite wrong. Granted I have read only one, 11/22/63, which is about a man traveling back in time to stop the assassination of JFK, but I loved it, and it has opened the door to his other works. He has new title being released this summer that sounds less intense called Joyland. It is set in North Carolina and involves a haunted carnival funhouse, a 10-year-old psychic, and an unsolved murder. Also it is much shorter than most of his novels, coming in at 283 pages. A quick easy read for those used to his 1,000 page reads. A young man’s fancy may turn to thoughts of love in the spring, but in the fall? Those young men (and women) are thinking zombies. Yes, zombies. With Fort Wayne’s zombie walk behind us and Halloween on the way, what better time to feast your brains on works about undead brain-feasters? They may not be as suave as vampires, and they don’t have a cool daytime/nighttime look like lycanthropes, but zombies maintain a laser-focus on eating the living, and are definitely worthy of some literary love. Whether you like your zombies shuffling and decomposing, or rage-filled and unnaturally fast, there’s something for you in the recs below. Max Brooks is the current king of zombies. 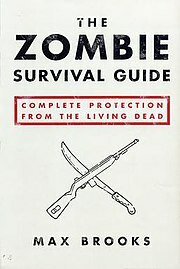 His The Zombie Survival Guide, is the authoritative look at living amongst the unliving, while World War Z is presented as an “oral history” of the outbreak and its aftermath. Both books are wonderfully thoughtful, exhaustive in nature, and leaves one wondering just how much time Brooks spends thinking about killing zombies. In The Reapers Are the Angels, life after the outbreak is narrated from the perspective of a jaded young survivor. Bell’s work is the most literary of the bunch, and as melancholy as it is scary. Of course Stephen King would have a take on zombies. In Cell, an event known as” The Pulse” alters the brains of everyone using their phone. Might be time to ressurect letter-writing as a means of communication. 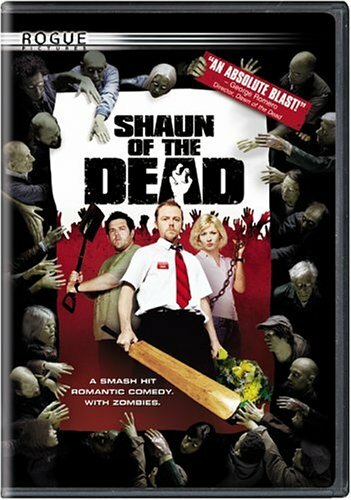 And while I could have chosen from a million zombie flicks, Shaun of the Dead gets the nod for being hilarious, timely, and including the best use of a Queen song in a horror film.